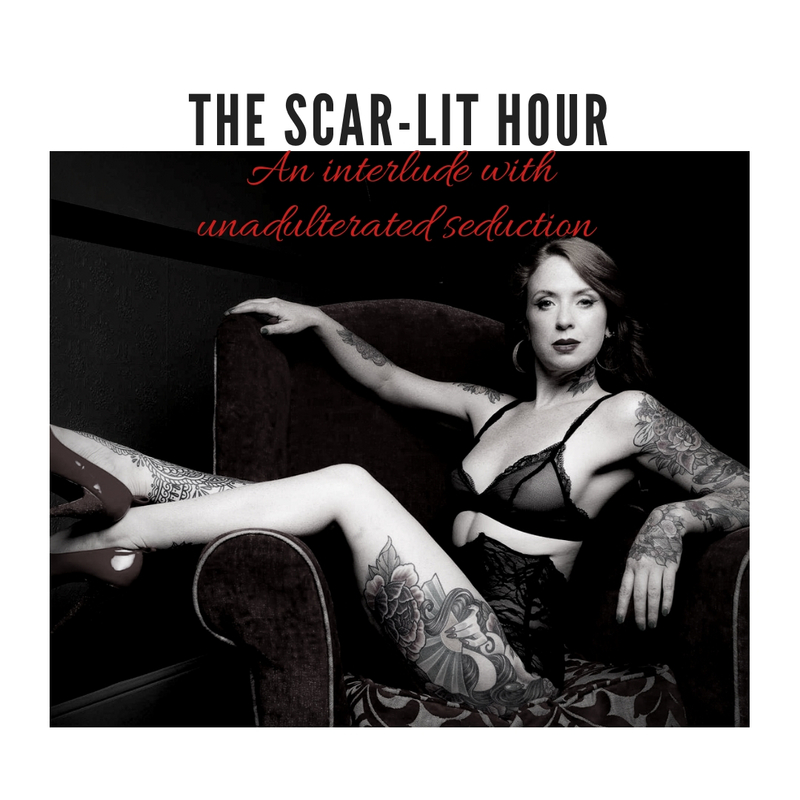 Miss Scar-lit Hearts invites you to an interlude with unadulterated seduction. With guest performances by Blue Haired Betty, Kitty Fay and Betty Behave, The Scar-lit Hour promises to be a sordidly intimate and interactive affair. A deliciously, smoldering show......leave your inhibitions at home. 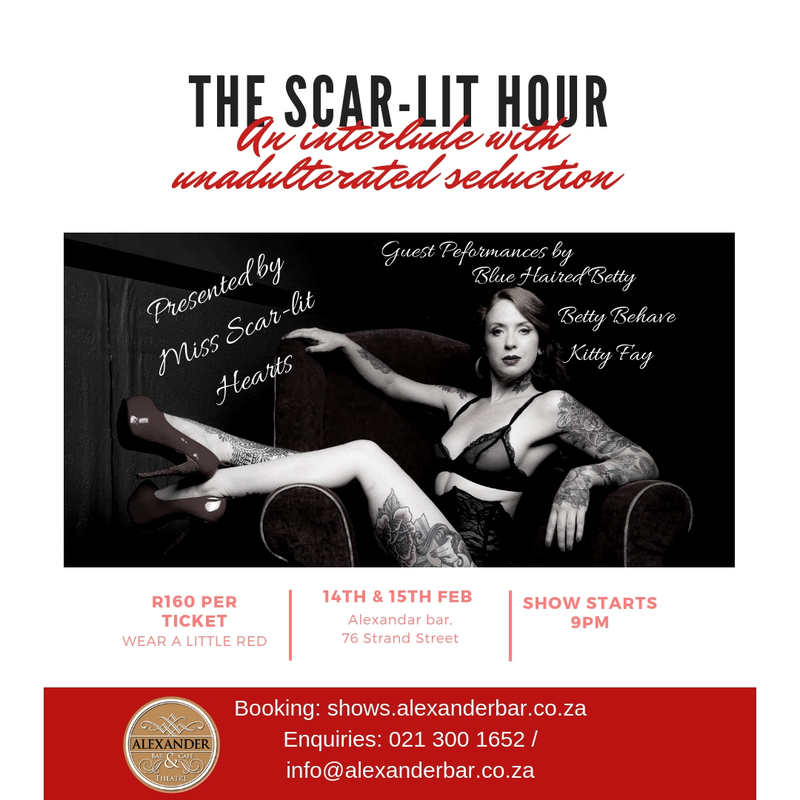 As one of Cape Town’s most illustrious burlesque artistes Miss Scar-lit Hearts is a master of the art of strip tease. Miss Scar-lit Hearts is sizzling, sultry and oh so seductive. She is a mesmerizing contradiction of sweet cheekiness and blistering sexuality. She enchants with her ethereal energy, feline grace and moody mystique, transporting audiences to mysterious, magical worlds. Her character driven performances convey effervescent energy with risqué choreography peppered with sophisticated charm. While her infectious personality gets audiences in the mood for bawdy ballyhoo and beautiful burlesque.